Reprocessed Oolong tea, such as Dahua Oolong and Guihua Oolong, is made by reprocessing the final product Oolong with gardenia (Dahua, literally “big flower”), osmanthus (Xiaohua, literally “small flower”), etc., that is, adding the fragrance of flowers to middle and low grade Oolong. Ginseng Oolong is a special kind of Reprocessed Oolong, made by processing tea leaves with ginseng leaves or crushed ginseng, together with some other ingredients. 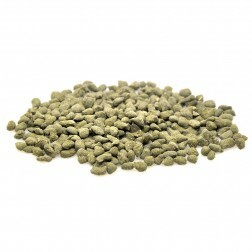 Good quality Ginseng Oolong has medical functions.